This winter (or last fall, if you're one of the OG fans of the show), we all became obsessed with YOU, the creepy Lifetime stalker drama that was just too wild and ridiculous to stop watching and snuck its way into our list of favorite TV shows from 2018. Remember Peach?? Remember the weird Dickens-themed Renaissance faire?? 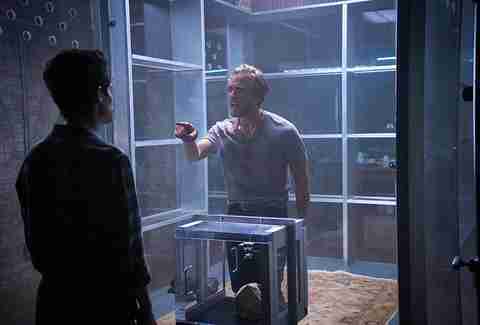 Remember the murder fish tank in the basement???? YOU was pretty popular on its home network, Lifetime, but became a viral sensation when it hit Netflix in December 2018, so it's only logical that the streaming service would announce that there will be more of our favorite guilty pleasure. So, when is it coming? Who's going to be in it? Will Beck be avenged? We'll see if we can answer some of those burning questions for you. Will there be another season of YOU? Hell yeah there will. Caroline Kepnes' first book, also called You, ends pretty much where the first season of the show does, and the second season will be based on her 2016 sequel, Hidden Bodies, introducing more characters for Joe Goldberg to convince himself he's totally not creepily obsessed with. Plus, (spoiler alert) Candace, Joe's presumed-dead old flame, is back, as we saw in the literal last seconds of Season 1, and something about her suggests she's not quite done with Joe yet. When is YOU Season 2 coming out? All we know is it's "coming soon," per the show's official Instagram account. Since Season 2 is still undergoing the casting process, we'll probably have to wait a bit for an official drop date. Many seem to believe it'll be arriving sometime this year, so fingers crossed. What network will it be on? Though it was originally broadcast in weekly installments on Lifetime, you can watch the entire first season of YOU on Netflix -- and that's where the second season will be dropping as well. YOU Season 1 was not much more than a curiosity while broadcasting on its home network last year, but as soon as it became available to stream, it was the first must-watch show of 2019. Smelling a good deal, Netflix snapped it up earlier this year, reporting that 40 million people had watched the show in its first four weeks. Where will Season 2 be set? Since it's not the best idea to stick around the scene of a heinous crime, Joe will pack his bags and travel cross-country from New York to the City of Angels for Season 2. Given the resurgence of LA-based true crime tales (see: AMC's I Am the Night, Quentin Tarantino's Once Upon a Time on Hollywood), Joe and his killer tendencies will feel right at home amongst the unsuspecting beach rats and Sqirl patrons. 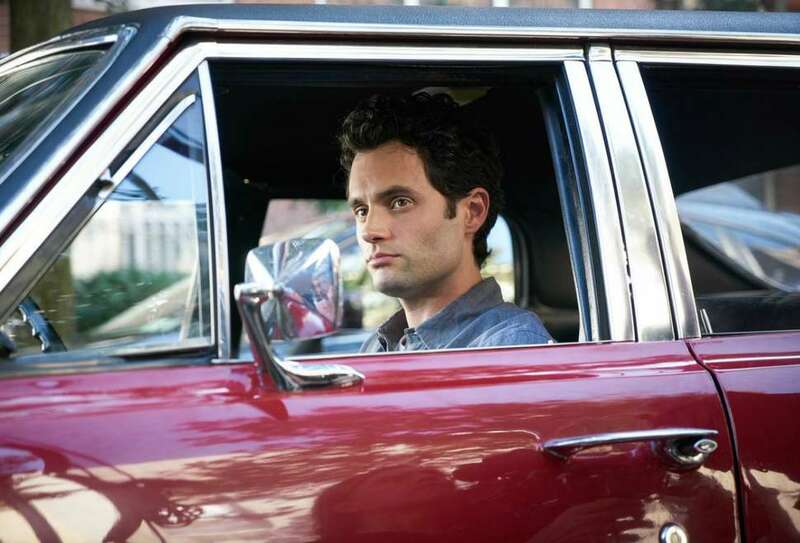 Penn Badgley will, of course, be back to torment everyone again as psychopathic bookstore manager Joe Goldberg, but since his list of victims has considerably thinned out since the first season's finale, he'll have to go in search of fresh blood. Candace -- Joe's ex who is actually very much alive, thank you very much -- will be back, as actress Ambyr Childers has been promoted to a series regular (she appeared in four episodes of Season 1, and in three of those she was just a hallucination). We're rooting for you, Candace! Elsewhere, Jenna Ortega (who played young Jane the Virgin) and James Scully (of the much-derided Heathers series) have been added to the cast as Ellie, a teen who "grew up fast in the big city," and Forty Quinn, the charming, bullish brother of Joe's new love interest, appropriately named Love Quinn. She will be played by The Haunting of Hill House's Victoria Pedretti, and is described as "uninterested in the world of social media, branding, and self-promotion, focused instead on leading an interesting life. She is also tending to a deep grief, and when she meets Joe Goldberg, she senses a shared knowledge of profound, life-changing loss." In other words, she'd better watch out. What the hell kind of name is "Love Quinn"? The kind of name Joe is gonna get an aneurysm over the first time he hears it. Is it OK to have a huge crush on Joe now? Well, since Joe has officially graduated from stalker to serial killer, the answer is: No!! Look, we get it, Badgley is handsome and charming and sweet, but that's exactly how they get you! That's the point! It's like y'all haven't even watched The Ted Bundy Tapes. Badgley himself even took Joe apologists to task on social media, shaming everyone he found tweeting about how they'd just loooOOOooove to be kidnapped and locked in a basement murder fish tank by a cute boy.